Well, I got back from Dartmouth yesterday. It was a great trip except that our flight out of Chicago was canceled because of the weather. Nonetheless, a few hours and $60 later, we made it back to OKC. Here are some pics of Hanover and Dartmouth. Look! 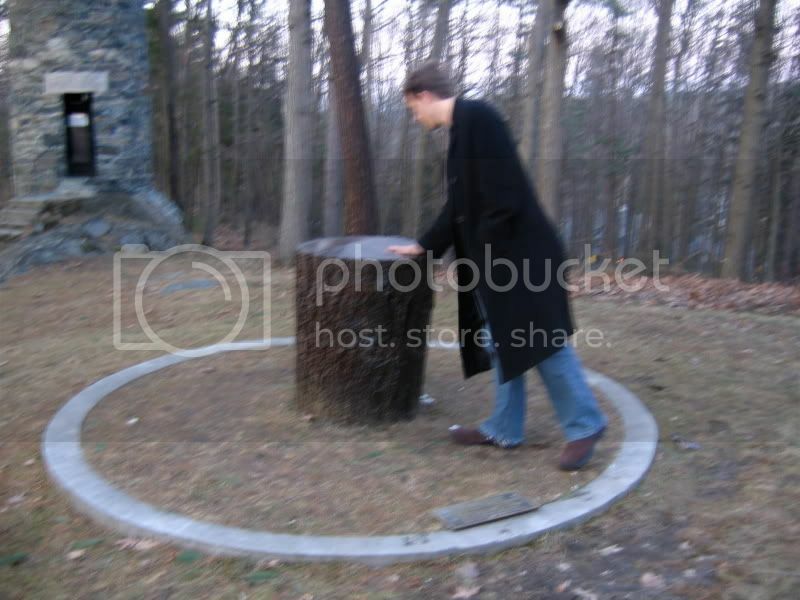 They have a lacquered stump, too. I read the plaque, but I don't remember what it said. 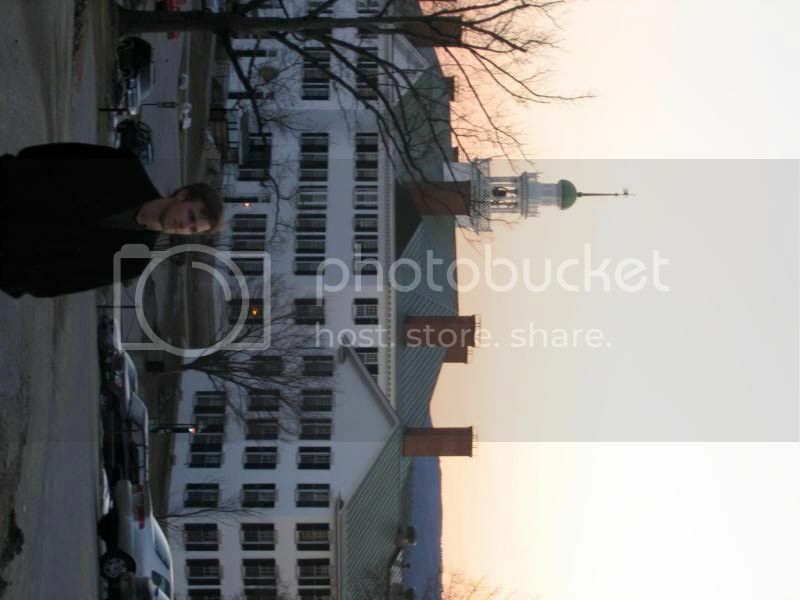 This is Jerod in front of a building at Dartmouth. I don't remember what it's called. These are the graduate student apartments. 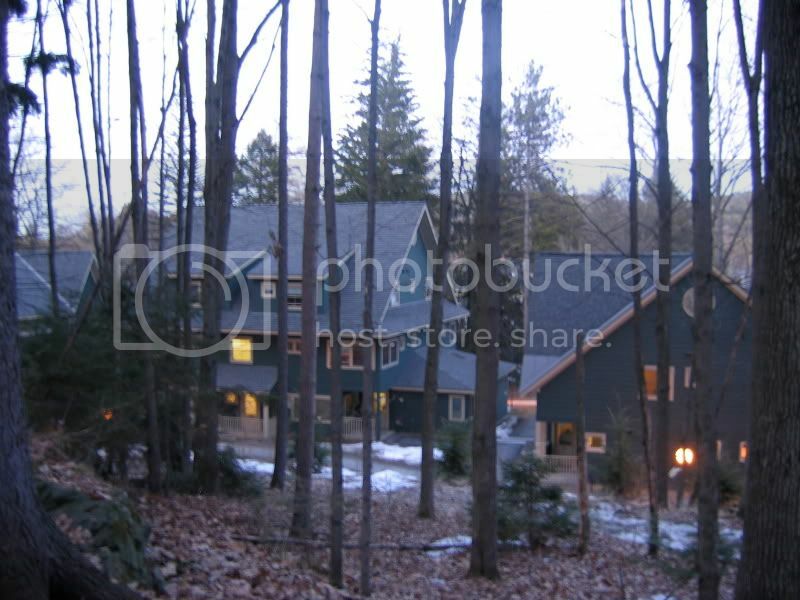 I would probably live here my first year. 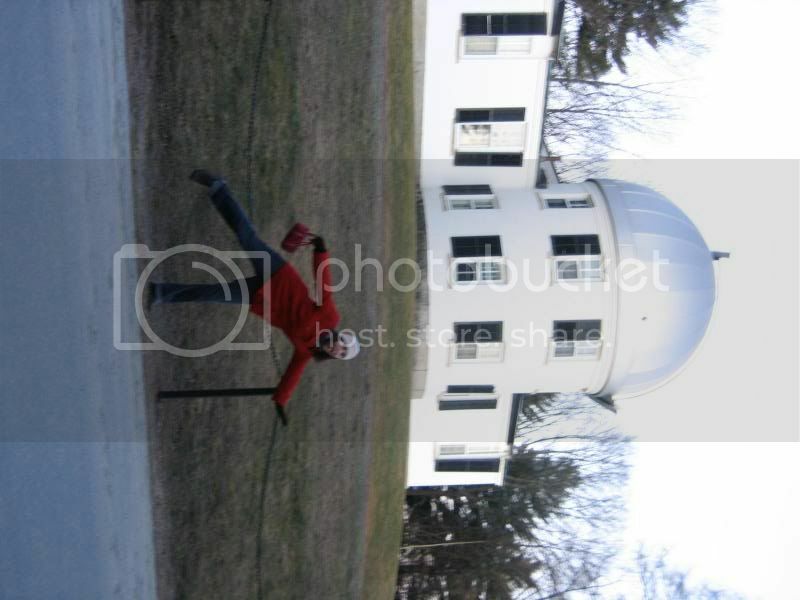 This is me being silly in front of their observatory. The sky looks pretty nice in Hanover. Much better than Norman, that's for sure. This is Jerod in front of "The Green" and Baker Library. Some random buildings on campus. I don't remember what they were.